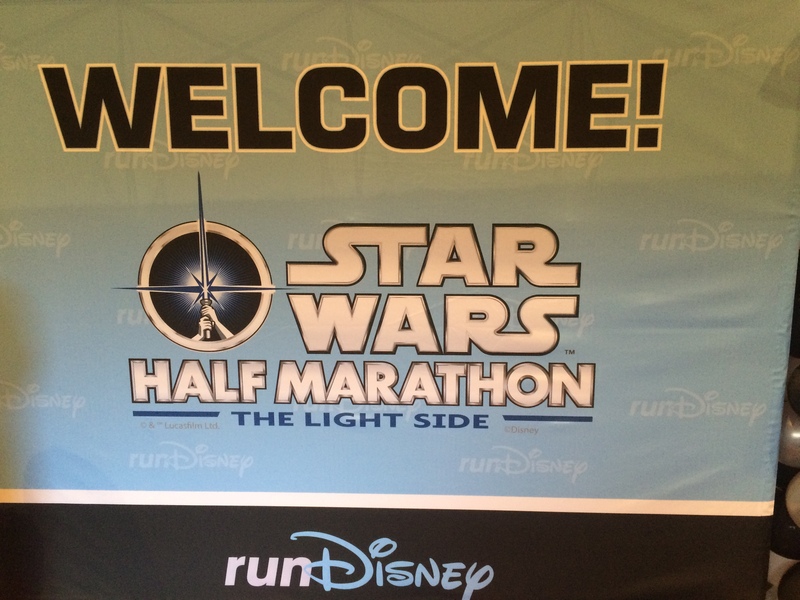 The Star Wars (Dark Side) Half Marathon is officially underway at the Walt Disney Resort and I have several friends that have most likely finished their 5K race this morning before this post goes live. As for me? 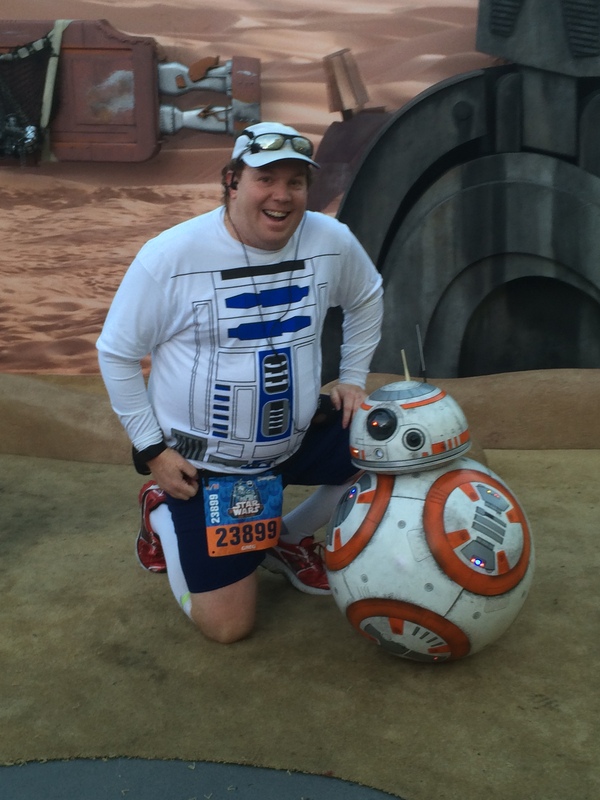 All I can do is reminisce over the fun times I’ve had at the three Star Wars Half Marathons we’ve had out here on the West Coast and wonder if there will ever be another Star Wars Half Marathon at the Disneyland Resort. 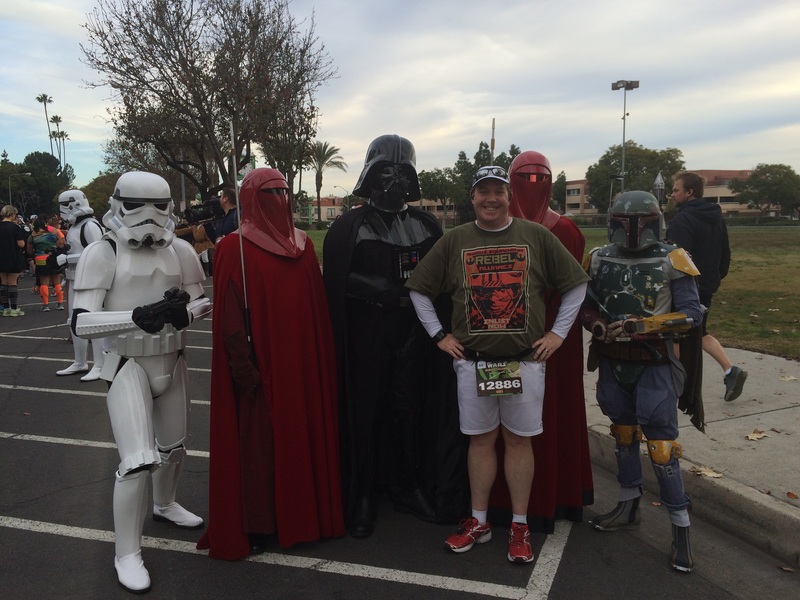 This picture, from the Inaugural Star Wars Half Marathon is still one of my favorite pics from any race I’ve ever done. Best part? I waited in line for a whopping 2 minutes. Gotta love the 501st! So, I could sit here sulking over the fact that runDisney will not hold a race on the West Coast this year. Or, I can do a happier post about what is going on at the Disneyland Resort. Currently, and through the end of summer, they are hosting the Pixar Fest. The video above gives you all the feels of how the Disneyland Resort is dressed up for Pixar Fest. Here’s all the information on the special food offerings for the festival. It’s making me hungry just watching. Okay, one of the things I was super stoked about was the announcement that Redd Rocket’s Pizza Port in Tomorrowland was going to become Pizza Planet! I mean, just like the one in Toy Story! This video above has tempered that excitement. From the looks of it, this is the same Pizza Port with a few different items. Yes, they’ve added some Toy Story theming. But, this could have been way cooler. Whenever I get around to taking the boy (if we find the time) to Disneyland next, I’m’ sure we’ll end up here. Disney has decided to swap two parades for the Fest. Disneyland has the Pixar Play Parade (it used to be at DCA) and DCA gets the Paint the Night Parade. It is kind of weird to see the Pixar Play Parade roaming down Main Street U.S.A. In addition to swapping parks, there are a couple additional floats that were not part of the DCA version. I love the Luxo Lamp float at the front of the parade! The other part of the swap is one that I’m really excited about. I must make it over to DCA to see Paint the Night in its new location before Disney decides to pull the plug again on this glorious parade. I loved it when it was at Disneyland. I’m sure I’ll love it at DCA. From the looks of this video, it appears that they’ve removed the Frozen float from the parade. So, it’s a little shorter. As much as I love Frozen, it’s nice to see Disney moving on from this movie. Back over at Disneyland, there’s a new fireworks show…Together Forever. This one is all Pixar. You won’t find Mickey Mouse and the gang in this fireworks show. I do need to post a few videos because, like the 60th Anniversary fireworks, there are multiple spots you can watch this show. This first video is from the VIP seats. It gives us some good views of the projections on Sleeping Beauty’s Castle. Here’s a video of Together Forever from It’s A Small World. I like how they compensated for the lack of watching Buzz Lightyear flying at the start of the show. It almost feels like a different show from this view. Don’t you think? Can’t get up close and personal on Main Street U.S.A.? Well, much like the 60th Anniversary Fireworks, there are projections all the way down Main Street U.S.A. to keep you satisfied! For those wondering, there is a second phase opening in June when Paradise Pier becomes Pixar Pier and California Screamin’ becomes an Incredibles roller coaster. That’s all for this report. What do you guys think? Pixar Fest…yay! or nay? Back to Blogging – And an Upcoming Race!